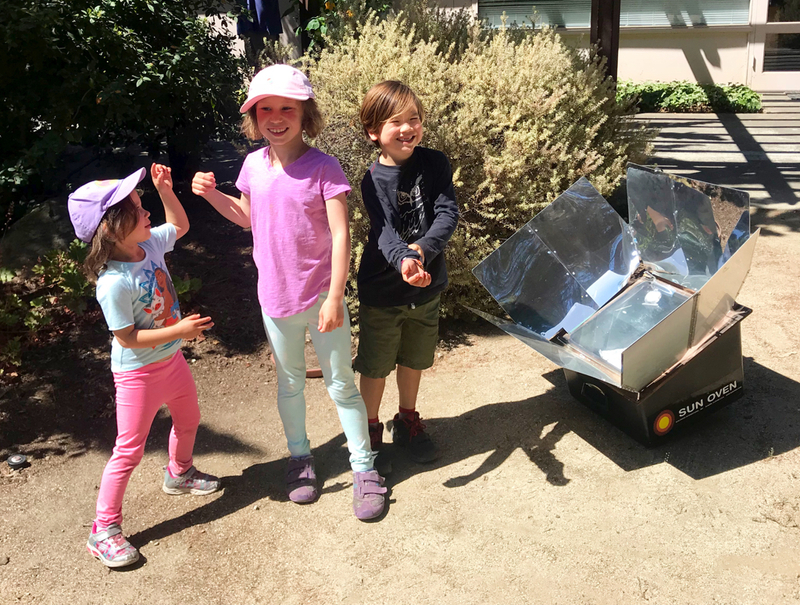 Above: The Sea Otters (youngest group) learning how to use a solar oven. 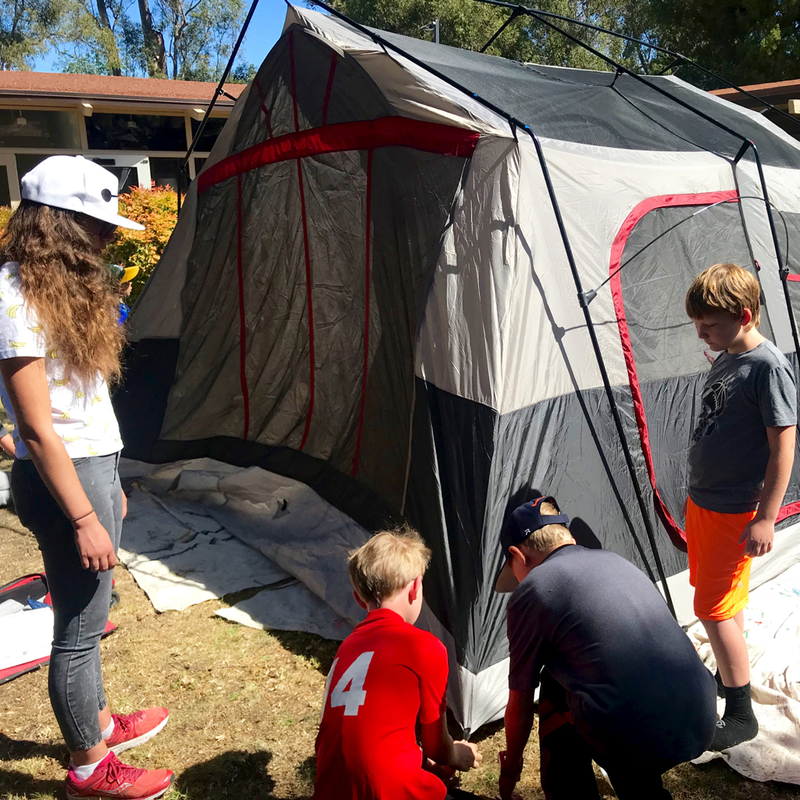 Above: The Gray Foxes (middle group) practicing setting up the big tent the morning before the overnight. 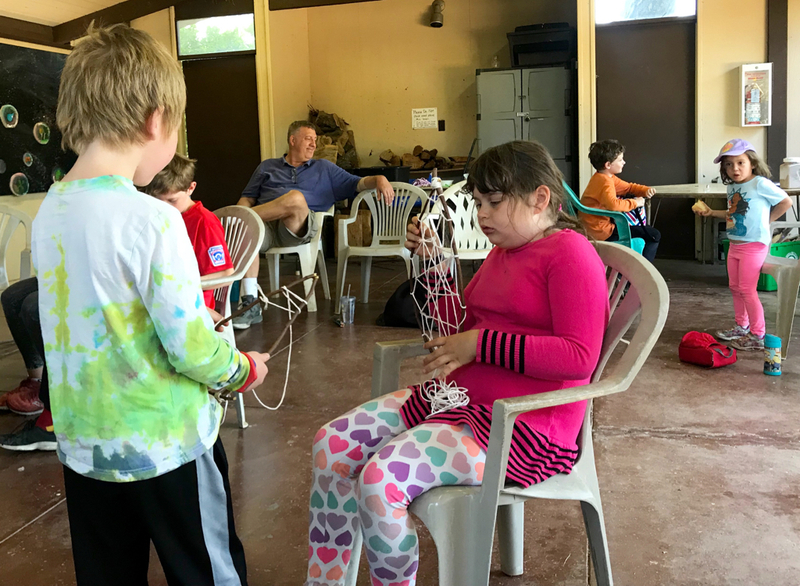 Above: Louisa, one of our junior counselors, showed the campers how to make dream catchers.